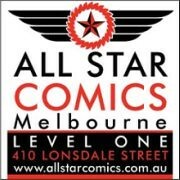 Tonight I'm starting off the first of my reviews of the latest look at Captain Action. 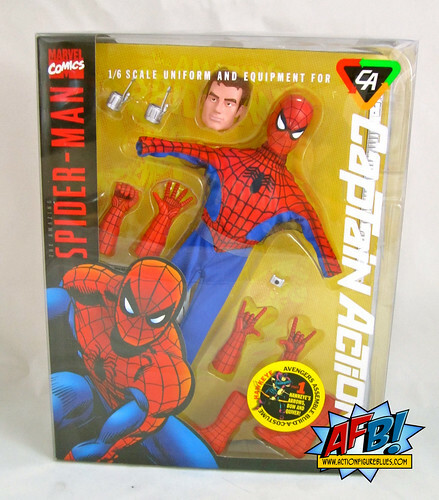 This review will cover the Captain Action Deluxe Action Figure and the Captain Action Deluxe Spider-Man Costume Set. I have to start off this review by saying that I don't have a personal nostalgia for Captain Action. His original heyday was before my time, and the previous attempt at reviving this line was before my collecting years. If not for the impressive photos of the Marvel Costume sets attached to this particular revival of the line, I most likely wouldn't have given this a second look. All I can say is, I'm glad I did! This is the third time around for 12" Captain Action toys. The first line was produced by Ideal starting in 1966 and ended up covering a wide range of characters from a number of properties before ceasing production. The line was revived in 1998 by the now -defunct Playing Mantis. This incarnation lasted only two years but delivered some great revisits and never-before done characters like sidekicks Kato and Kabai Singh. This new revisit is by Captain Action Enterprises and Round 2, and once you do your research on the original toys, you can see clearly that the creators of these toys have a great love for the property and it's history. They've brought a great deal of passion to these new toys and have been promoting them with gusto. To fully appreciate these items, you need to have a sound understanding of the history of Captain Action and the original offerings from the line, and of what Captain Action is all about. Most of the criticisms I've read about these modern products can be answered by looking in to the vintage line and its products. The idea behind Captain Action's costume sets is that Captain Action is a master of disguise and takes on these different roles. 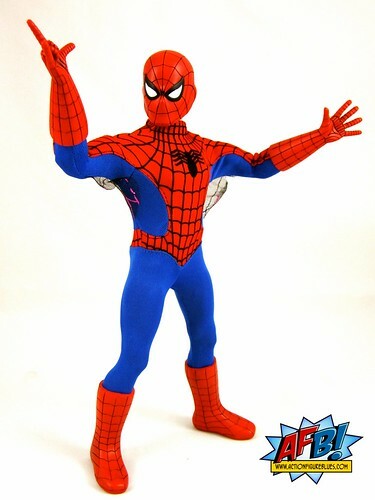 This is where the costume sets come from - this isn't simply a 12" cloth costume Spider-man, it's Captain Action AS Spider-man, and has to be looked at as such. This answers the main complaints I've heard about these new sets - firstly that the costume sets do not come with an actual figure, and secondly that the character heads are masks instead of a swappable head. While having to buy extra Captain Action figures to display your costume sets is somewhat of a drawback, this line is ultimately about Captain Action himself - having him under the mask is an essential part of spirit of the line. As I said, I don't have a personal history with Captain Action, so I'm firmly in this for the Marvel Characters. Still, I'll start with the good Captain himself, since as I said this is really all about him! 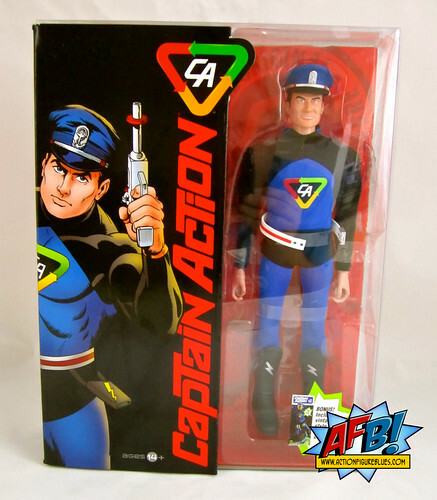 To me, Captain Action seems to be all about that late 1960s sci-fi hokeyness, and the producers of this new line have made a very sensible decision to embody this spirit rather than attempting to modernize the character. While this is a loving and faithful recreation of the original toy, some sensible updates have been made. The biggest and best change is to the Captain Action head sculpt. The original Captain Action had a rather odd head, both in shape and facial expression, and this new version has been given a much needed update. The Captain's outfit is very well constructed, and includes a removable cap and boots on top of his bodysuit. The workmanship on all of these pieces is excellent, and the bodysuit is easy to remove and put back on when the need for a costume change arises. Captain Action comes with several accessories, the main items being very faithful recreations of his original gear. He has his sword and ray gun and each comes with a holster which fits on his belt. His belt is a bit of a challenge to keep together - it come unsnapped and the snap is so small that I had quite a time getting it reconnected. The first Captain Action Costume set I'm reviewing is Captain Action as Spider-Man. The packaging of these sets is so outstanding that I really felt it was a shame to open them. The boxes are colourful and the pieces are arranged beautifully. Thankfully this has all been designed so that you can put your sets together, and while it will take up more space to store them his way, I definitely plan to keep the boxes as they just look fantastic. The Deluxe set comes with a swag of options and accessories. 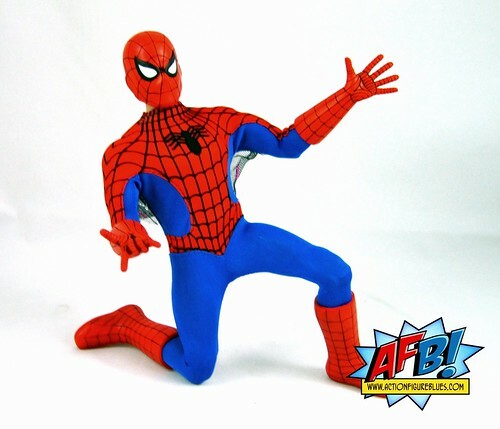 There is a regular Spider-man mask and a Peter Parker mask, two options for arms (which come in the form of hands with long gloves that you replace Captain Action's hand with) and a great set of boots. There are spiderweb shooters and a belt if you want a classic version of Spidey, or you can leave those in the box to keep your Spider-man modern as I have done here. There are other bits and pieces such as a camera and a copy of the Daily Bugle which, with my well publicised apathy to accessories, aren't my cup of tea, don't necessarily get me buzzing but are sure to excite accessories enthusiasts. Once again, the fabric costume is very nicely constructed and fits on to the figure rather easily. The costume seems durable and the colours used are fabulous. The little spiderwebs that make up Spidey’s “wings” are a nice touch. The plastic pieces are very high quality and seem designed to last the test of time. The Spider-Man mask is a challenge to put on, but worth persisting with as the result is great. The end result is a very slightly over-sized head, but when you keep in mind that you're disguising Captain Action as Spider-man the concerns go away for me. The main issue I had with Spidey's assembly was keeping his arms attached. The gloves and hands replace Captain Actions hands and are meant to lock in, but I found challenging to get the right arm to click together. I did manage to accomplish this with persistence and would expect it to be easier to do on future attempts.There are two choices for Spidey’s hands, including one set in web-shooting mode. The figure has a very good range of movement and is easy to pose in a number of different arrangements. I’m not always very successful at getting poses to work, and I found this figure very easy to work with and pose, which is especially important for a character like Spider-Man. All up, I feel that all of my excitement as I anticipated the relaunch of this line has been worth it. The more I look at these pieces and assemble the different options, the more I love them. 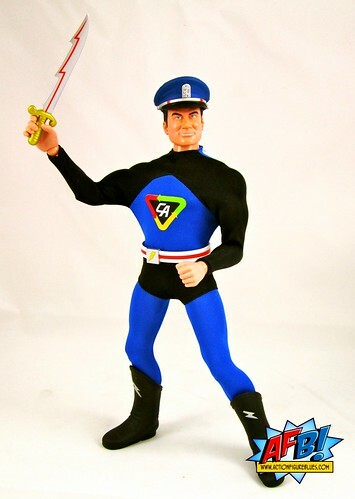 If Round 2 can reach someone like me who isn’t really into this type of figure, I can only imagine how Captain Action enthusiasts are responding to these loving, faithful updates. The Marvel Costumes come with a “build a costume” theme - pieces for a Hawkeye costume which I can’t wait to assemble. I’m definitely in for this first set! We know that Loki and Thor sets are coming up and that Loki will fit on Captain Action's nemesis, Dr Evil, who is also on the way. No word yet on whether or not Captain Action's kid sidekick, Action Boy, will be making an appearance. In my next review for this series, I’ll be covering the Captain America Deluxe Costume set - and I think we’re in for another treat! These are apparently going to appear at Toys R Us in Australia, but no sign as yet. I got mine from AFB Sponsor Big Bad Toy Store, and they still have both sets in stock - worth checking out! I saw these at Toys R' Us recently and really liked them but the price point was just too much for all three. build a costume? that's cute. hope the hawkeye mask is less goofy looking than the captain america one. @jboypacman - how much were they in toys r us? 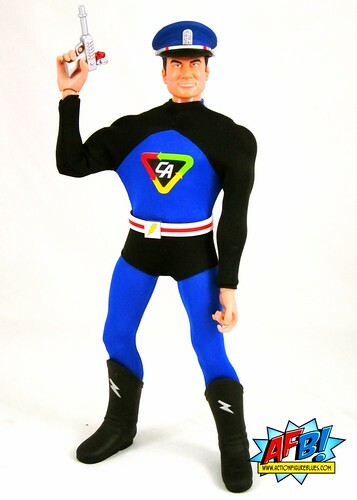 Adam the Captain Action Figure is $20 with each costume being $20 a piece. Not bad really but for someone on a budget just a bit much.